Here at Toyota of Newnan, we are dedicated to making sure our customers are satisfied. Whether it’s at our car service center or our car finance department, we want to make sure you leave our lot happy and with all your questions are answered. If you have any questions, find our below frequently asked questions. However, if your question isn’t answered, make sure you take a minute to contact Toyota of Newnan online or call (770) 502-1333, and our experts will be happy to assist you. A: Window shopping our new 2018 Toyota 4Runner inventory is good to help you get in the door, but only a test drive will truly tell you if the vehicle is right for you. A test drive allows you to get a feel for the interior comforts, driving agility, and even the entertainment and safety technology. A: Buying a used or certified pre-owned Toyota car is a great way to increase your buying options when purchasing your next vehicle. The difference between our used inventory and our CPO models is that CPO vehicles have been thoroughly inspected, come with a CARFAX® Vehicle History Report™, and are typically lightly-used newer models. Our used inventory provides a variety of years, makes, models to choose from. A: Regular maintenance is integral to keep your car running for years to come. By scheduling recommended maintenance at our Toyota service department, you can rest assured that not only is your vehicle running properly, but also safely. When your vehicle is working at its best, that’s when it lasts its longest. 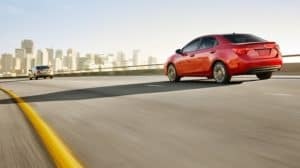 A: Our Toyota Finance team can provide you answers about how much your vehicle is worth you visit our dealerhship. But if you want an instant quote, you can also use our Value Your Trade tool right here on our website. A: Our Financing Center works with all drivers to help them take home their dream vehicle. Whether you have no credit, bad credit or great credit, our finance staff is dedicated to finding the right car loan or lease option for you. 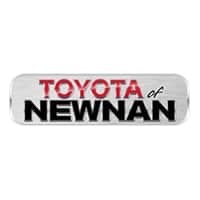 A: Toyota of Newnan is closed on Sunday. However, we are open from 9 a.m. to 8 p.m. Monday through Saturday. A: Out of all the car dealerships in Newnan, GA, Toyota of Newnan is your go-to dealership for new and pre-owned Toyota models. We also offer financing, service, and parts departments staffed with experienced technicians and specialists dedicated to providing top notch customer service.